Hurry over to score this Fisher-Price Little People World of Animals See N' Say Toy for just $8.88 (Retail $14.99)! 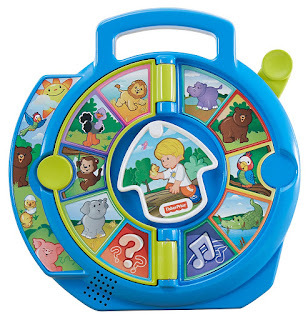 This See N' Say Toy has 2 pages full of animals to help kids learn their animal names and sounds. There is a quiz mode as well as a music mode with lots of animal songs! Perfect for kids ages 18 months up to 5 years.